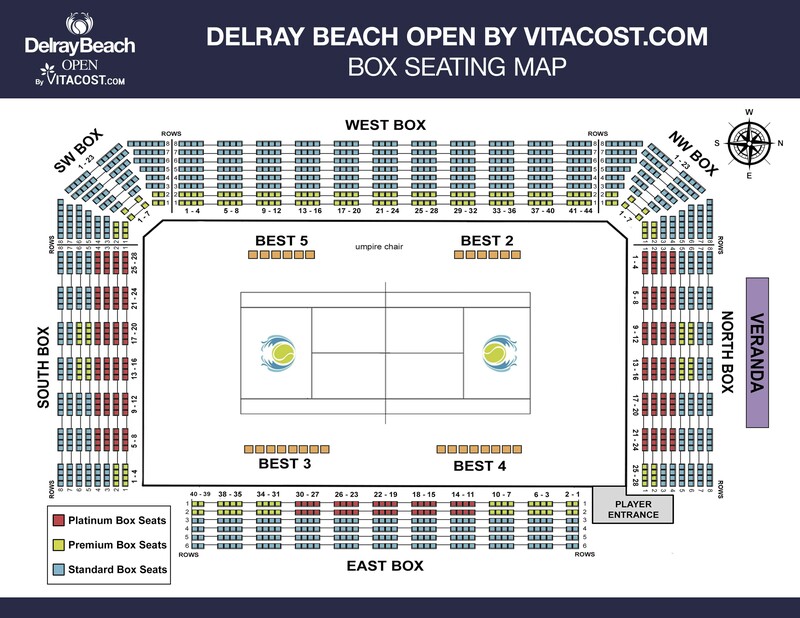 DELRAY BEACH, Fla. – Peter Gojowczyk filled out one half of the championship final Saturday afternoon at the ATP World Tour Delray Beach Open when the 28-year-old German ousted American Steve Johnson in straight sets at the Delray Beach Stadium and Tennis Center. Earlier, American Frances Diafoe emerged a winner in the completion of Friday night’s suspended quarterfinal match against Korean Hyeon Chung, who was the last remaining seeded player. Gojowczyk, ranked No. 64 in the world, advanced to his first final of the year with a 7-6 (3), 6-3 win against Johnson, who earlier in the week defeated No. 9 seed Milos Raonic. Johnson became the third consecutive American to lose to Gojowczyk here, but the German insisted he has nothing against Americans. Johnson, ranked No. 51 in the world, registered 15 aces, but it wasn’t enough to best the all-around solid play of Gojowczyk, who received a congratulatory tweet from German tennis legend Boris Becker after the match. 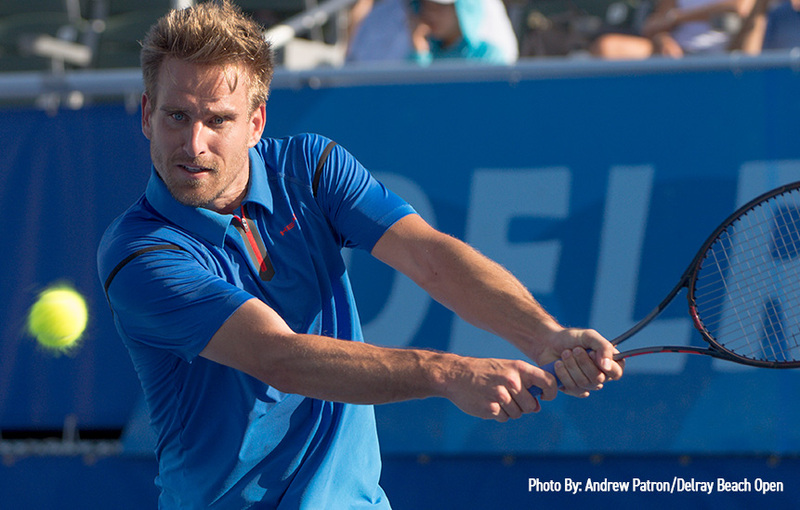 Gojowczyk said that part of the reason for his somewhat late ascent, career-wise, up the rankings, dates to a foot injury that required surgery in 2014, which forced him to take six months off from playing. “It’s not easy to come back after the operation,” Gojowczyk said. “But still, I’m here. I changed my coach last year and we worked to go more to the net. I think that’s an important point because from the baseline I play aggressive, and it’s not easy to play against me if I play aggressive and not give (Johnson) too much time. Gojowczyk was asked if he had a preference on who he plays in the final – either Denis Shapovalov or Tiafoe – and he showed his sense of humor with his answer. “Maybe one more American?” he said to laughter. That will be the case should Tiafoe beat Shapovalov later tonight. The official scorecard listed the length of Tiafoe’s 5-7, 6-4, 6-4 win against Chung as 2 hours, 29 minutes. In actual real time, it was more than 18 hours from start to finish before a winner was determined. Tiafoe, a wild card here this week, finally closed out his drama-packed victory Saturday afternoon less than 14 hours after play was suspended because of rain late Friday night/early Saturday morning. He and Chung returned to the Stadium court with Tiafoe up 5-3 and Chung serving. Chung, the No. 8 seed, held his serve to make it 5-4, but Tiafoe then held serve to notch the win on his eighth match point. 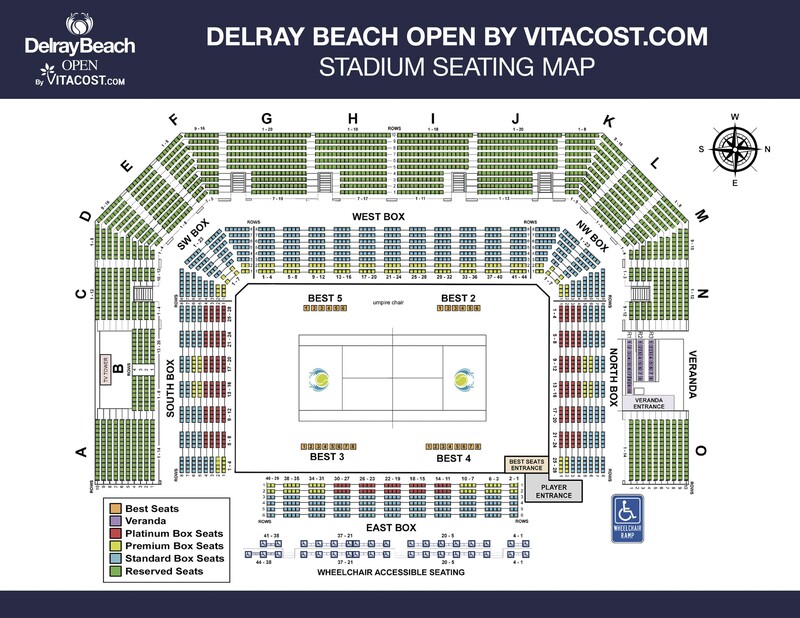 Tiafoe delivered three of his five aces in the match-clinching game, which he won when Chung netted a forehand on the 36th shot of a lengthy rally on his eighth match point. 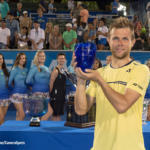 A turning point in the match occurred Friday night early in the second set when Tiafoe became visibly upset when he disputed to no avail a questionable ruling on a shot near the net by Chung. Tiafoe then was down love-40 on his ensuing service but reeled off five consecutive points to win the game and tie the set 2-2 en route to winning the set and tying the match. “My serve got me out of trouble. I really dug deep in this match,” Tiafoe said. Tiafoe will have only a few hours to rest up for his semifinal match against fellow NextGen star Shapovalov in the Saturday nightcap. Also on Saturday afternoon, American Nicholas Monroe and Aussie John-Patrick Smith advanced to the doubles final with a 7-6 (4), 2-6, 10-7 win against Mathew Ebden and Donald Young.